The rumors have been confirmed: Instagram for Business has come, finally taking requests from many brands that are present in this network and consider it one of the best marketing tools. Company profiles are not the only novelty presented by the photographic social network. We analyze all changes that come in Instagram and you need to know to work your brand in the photographic social network. The corporate profiles of Instagram for companies will maintain an aesthetic similar to personal profiles, with the difference that next to follow button there will be another contact. Pressing this button the user can call, write an email or meet business location in Google Maps. Corporate profiles will have access to statistics and advertising programs, unlike personal profiles. Therefore it is advisable that passes your brand to the company profile as soon as possible. Instagram statistics have always been a headache for the community managers because there was not any easy way to access reports on this network. Instagram for Business has promised to give more information on the scope, followers’ profile (gender, age and location) and photographs that work best, all without leaving the mobile app. So it’s easier to create interesting content for your audience. Instagram advertising is not new, but until now done through Facebook. In the near future it may promote a post from same Instagram app. You simply choose the photo, add a call to action, choose the target audience and determine the time during which it will be promoted. 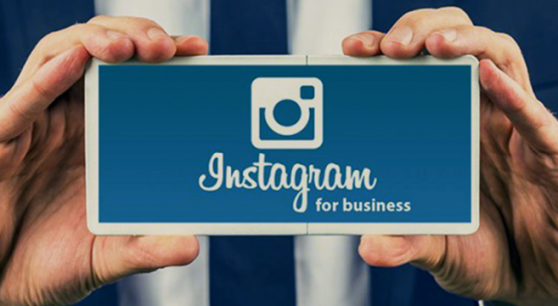 Instagram has 200,000 advertisers, of which most are small and medium enterprises. They will benefit most from this development, because it may advertise a much easier and faster than before. When can you enjoy the new Instagram profile for brands? Instagram brand profiles begin to see in the coming weeks in the United States, Australia and New Zealand. For all other countries there is still no release date, although it is known to be done gradually. The first companies to enjoy the new Instagram profiles will be those that already have a Facebook page. If you have an account on Instagram but still do not have Facebook page, we recommend you open it, so you can enjoy sooner the new profiles.